Always a patriot, Johnny Cash spoke and presidents listened. 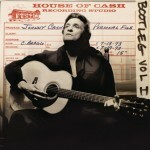 Johnny and June Carter Cash recorded three full albums together, but they worked together for nearly 40 years. Which of their duets is your favorite? 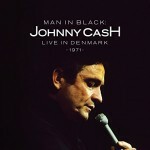 The Man in Black received 53 Gold and Platinum awards from the Recording Industry Association of America (RIAA) during his career – though this one was actually presented to Cash’s Columbia Records labelmate Barbra Streisand, if you look closely at the photo! 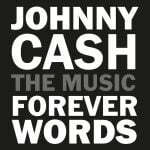 In 2018, Johnny Cash: Forever Words featured unknown poetry and writings by The Man In Black set to music from artists inspired by him. This is the original lyric to one of those songs, “What Would I Dreamer Do?” which was performed by The Jayhawks. Directed by Thom Zimny, this documentary takes the remarkable Folsom Prison recording as a central motif and features interviews with family and celebrated collaborators. Johnny Cash performed his most famous concerts at Folsom Prison 51 years ago this week. 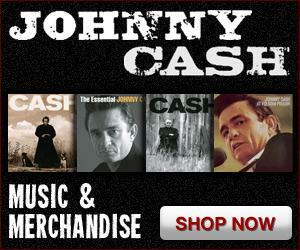 Johnny Cash, Willie Nelson, Kris Kristofferson and Waylon Jennings made country music history as The Highwaymen. Happy Holidays From The Cash Family! Love, comfort, and hospitality were always served up at Johnny and June’s table, particularly around the holidays.